Why are you terminating the Miitomo service at this time? We see this app as accomplishing a portion of our goal of getting Nintendo IP (in this case, Mii characters) into the hands of consumers across a variety of environments worldwide. At the same time, we’ve seen the number of ongoing users for the app decrease. We have decided to discontinue this service so that we can better optimize our operational resources across our entire smart device business. Is the Miitomo service being discontinued in all regions? We plan to discontinue the service simultaneously worldwide. If Miitomo has become less popular, couldn’t you just leave it running, even if there were no new things to do or purchase? Because Miitomo is based on creating connections between users, some resources would always need to be dedicated to maintaining the app. Additionally, we always want to provide the best user experience. Are you providing refunds? Do I get refunds for unspent Miitomo Coins? Refunds will be provided for paid coins only. We are announcing the discontinuation of service well in advance so people can use any remaining game tickets or Miitomo Coins. Users interested in learning how to manage their balance can find more information in the in-app support feature. Do I get refunds for my Miitomo items? The ability to purchase Miitomo coins has now been removed from the game. Until the end of the Miitomo service on May 9, we’re offering daily login bonuses of Miitomo coins and game tickets so that users can continue to play Miitomo Drop and use other features such as the Miitomo shop. 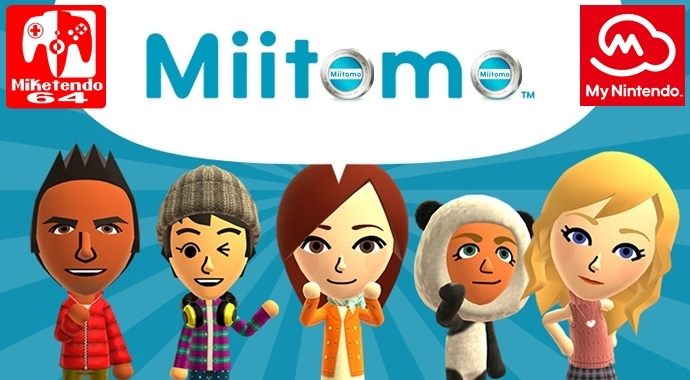 Will users still be able to download the app and purchase Miitomo coins and other items up until May 9, or will certain features be cut off ahead of the shutdown deadline? The ability to purchase Miitomo coins has now been removed from the game. Until the end of the Miitomo service on May 9, we’re offering daily login bonuses of Miitomo coins and game tickets so that users can continue to play Miitomo Drop and use other features such as the Miitomo shop. What will the consumer experience be once the service ends? If you launch the app after the end of service on May 9, you’ll see a message informing you that service has ended. You will no longer be able to use any of the app’s features. Will I be able to re-download the app? Users can continue to download or re-download the app until May 9. Will I be able to save my conversations? Users can take screen shots of any information they want to save, but there will be no formal procedure to save Miitomo content. Can I still use my Miitomo Mii as my Nintendo Account avatar? You can transfer your Mii character to your Nintendo Account by linking it to Miitomo before May 9. Its personality and other information will not be carried over. Can I save my Sidekick Mii characters? Sidekick Mii characters in Miitomo will be deleted. You can keep Sidekick Mii characters by saving them as a QR Code before then end of service on May 9. They can then be transferred to Mii Maker on the Nintendo 3DS family of systems or the Wii U console. What will happen to my Miitomo Platinum Points in My Nintendo? My Nintendo members who have earned Platinum Points by playing Miitomo may still use these points to redeem select rewards on My.Nintendo.com, even after the Miitomo service has ended. Remember, you can always check your points balance by signing in at My.Nintendo.com. Miitomo Platinum Points cannot be redeemed for a reward specific to a different Nintendo app. Can those be converted to regular Platinum Points? How do I remove Miitomo from my smart device? The process would be the same for deleting any app from your particular device. Will I still be able to get Nintendo Switch friend suggestions from my Miitomo friends list? Once the service shuts down this option will no longer be available. Will my social media Miitomo (incl. Miifoto) image sharing posts be deleted too? Users can save Miifoto images to their smart device, but following May 9 the Miifoto sharing functionality will end. If you post images to Facebook, the image will be shared via Miifoto sharing functionality, so Miifoto images posted to Facebook will be deleted. Images posted to Twitter are shared through a combination image files and share page URL. Therefore, the image itself that is shared will not be deleted even after the service is ended, but the link will be invalid. We would like to thank you all for enjoying Miitomo! Miitomo will end its service at 12:00 AM (PDT) on 5/9/2018, and we want to thank you for your support since the Miitomo app’s launch. The sale of Miitomo coins ended on 1/24/2018. Until the end of the Miitomo service on 5/9, we’re offering daily login bonuses of Miitomo coins and game tickets so that users can continue to play Miitomo Drop and use other features such as the Miitomo shop. Please see here for more information. To those who are sadden by this news, the only consolation is, you have a few more months to bid farewell to the app, before bidding adieu in May.